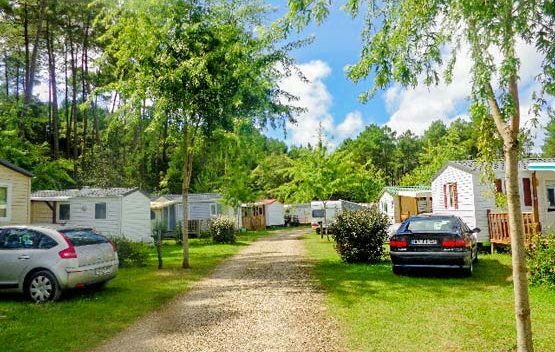 The campground has 27 pitches for mobile homes of which 5 are for rent. The other 18, have been reserved by owners to enjoy their holidays. For all details, you are welcome to read the rules of procedure and the rental terms and conditions. To summarize, arrival times, for July and August, are on Saturday afternoon after 2:00 PM, and departures are on the following Saturday before 10:00 AM. 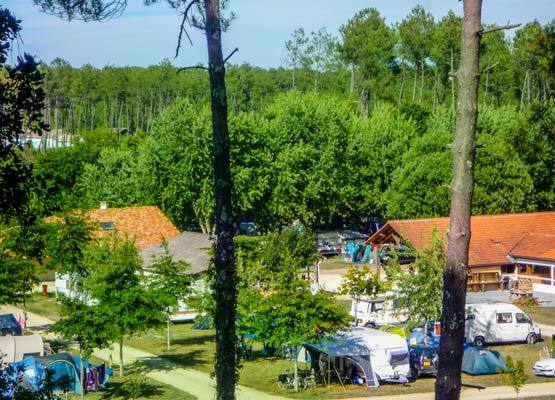 The campsite is closed to cars after 11:00 PM, we have an overnight parking lot where you can park your vehicle and allow the other guests to rest in silence. During April, May, June and September, you can rent by the night. We do not provide sheets or towels. Our price includes the guests, water, electricity and one vehicle per pitch. The tourist tax that we pay to Cote Landes Nature is an additional €0.66 per day per person aged 18 and up. A day begins at 2:00 PM and ends at 10:00 AM the following morning. The rules of procedure and an example of a rental agreement are available if from the menu at the bottom of the page. If you would like a personalized arrangement feel free to ask us and we will do what we can to adapt to your needs and ensure that you have a pleasant holiday. With us everyone is FAMILY.